When you have a cat you know you are going to have an accident here or there. That is just a part of being a pet owner. 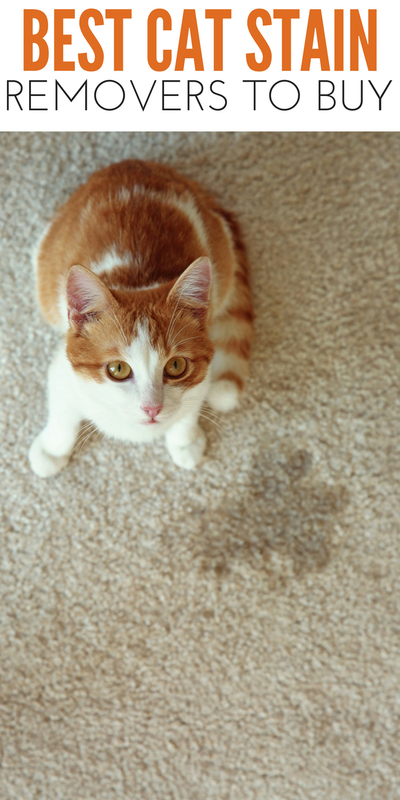 I thought it might be helpful to share some of the best pet stain removers to help tackle any cat stains you might have. Between accidents happening outside the litter box to muddy paws if your cat goes in and out and all things between. If you have a lot of carpet in your home you might benefit from this list of cleaners. 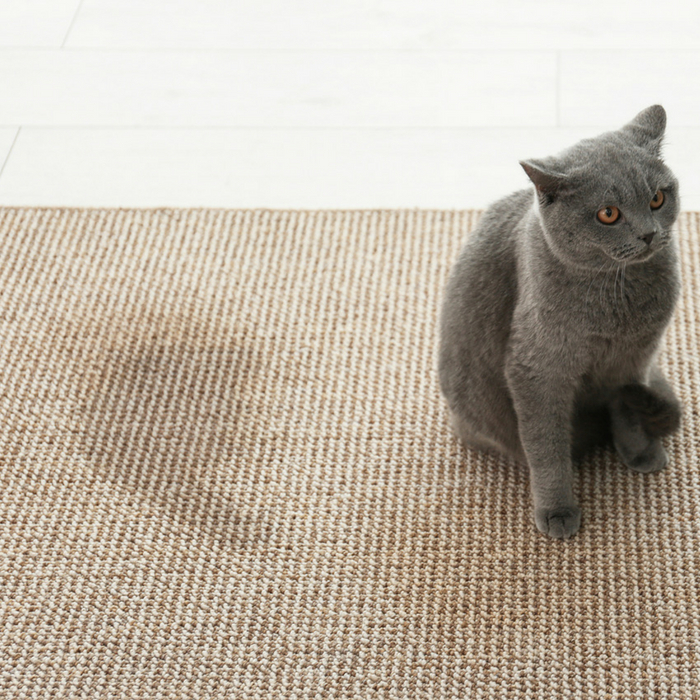 Or if you like making your own cleaners you might like learning how to eliminate cat urine odors in your home with these simple tips. From using vinegar and more. I try to make sure that our house doesn’t smell like our pets when guests come over. That means a lot of cleaning and having some good cleaners in my pantry as an arsenal to tackle those messes. If you are looking for an eco-friendly cleaner you might consider this Stain+Odor Remover Foam Spray. This is a live enzyme spray that works great at cleaning the stains and helping get rid of anything lingering in your carpet. This cleaner is safe around kids, which is really nice if you have little toddlers who crawl around on the floor. Rocco & Roxie is a professional strength stain and odor eliminator. This is an enzyme-based cleaner that can help remove the stain. However, it also really helps eliminate your cat wanting to use the restroom in the same spot over and over again. This can be used for dogs as well. So if you have both cats and dogs one cleaner can do it all. This cleaner has over 6,000 reviews and almost a 5-star rating! You can use this on your floors, litter box, kennels, furniture and other surfaces. What is nice about this one is that it sanitizes as well. It kills 99.9% of germs on your soft surfaces. This is great to have on hand for those yucky stains that need cleaning. This pet stain remover is a very affordable option that does a really good job at getting stains out of rugs and carpets. This is an aerosol can and does have a bit of an odor so beware of that. Many cat owners say this is great if your cat gets sick on the carpet or a rug. If you come across some old stains from either feces or vomit, this has been known to do a good job. They say spray and then work the stain over with a sponge or even towel. No major scrubbing is required. The formula works great at getting deep into the carpet and removing the proteins and fats that could be lingering. Those are the top 5 pet stain removers and are highly recommended. As you know there are hundreds of cleaners out there. If you have one that you love, make sure to leave a comment. I am always up for to new cleaners out when cleaning our carpets.